Shakuju Association: Boston seminar is coming! Spring is coming, so is Boston seminar! We heard that the class is full and some people are on the waiting list. We wish that the class could be bigger so that everybody who wants to attend could attend! 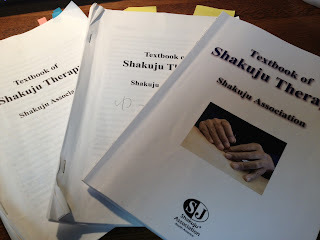 Kobayashi sensei and all other practitioners are ready to go to Boston, and there is one big news. 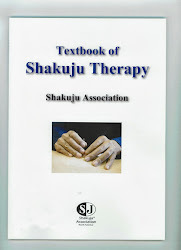 "Textbook of Shakuju Therapy" is now published so that we can bring them to 10 year anniversary classes in Boston! We are looking forward to seeing you in Boston within a week! !